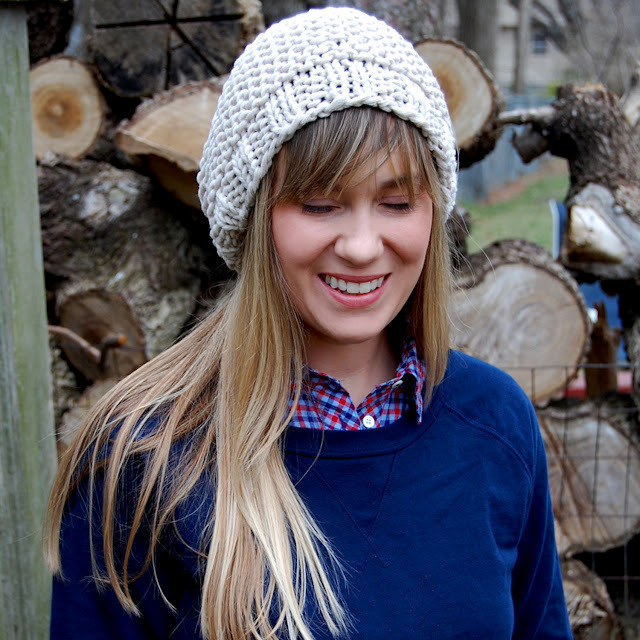 Over the weekend, I made this perfect-for-any-season slouchy cap, and named it 'Vanilla'. I used a ball of Rowan All Seasons Chunky from my Rowan Ambassador seasonal sample box that I got last month. And I must say ... I'm a big fan. I love chunky yarns as it is, but I've never knitted with anything quite like this. It's obviously a thicker version of All Seasons Cotton, but it's definitely not stiff whatsoever and has so much drape for a chunky yarn. If you've never tried it, it's unbelievably soft and smooth. Like vanilla. I can tell that this is going to be my go-to neutral hat – this soft shade (Pebble/601) will go with anything and everything. 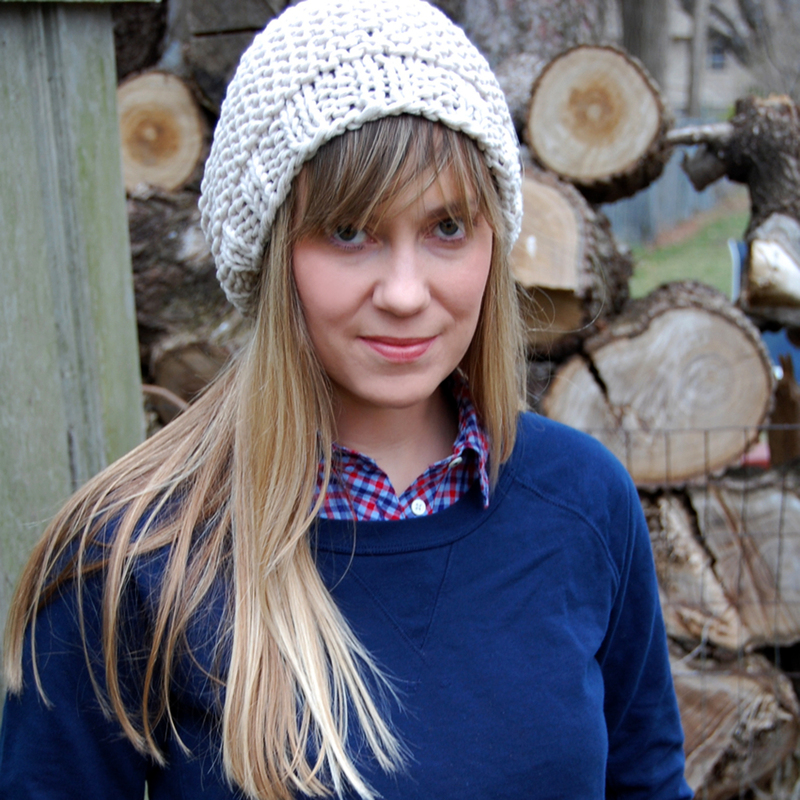 This basic garter stitch hat is simple enough for a beginner, and a quick project that anyone can finish in an evening or two. It uses exactly one skein of Rowan All Seasons Chunky. 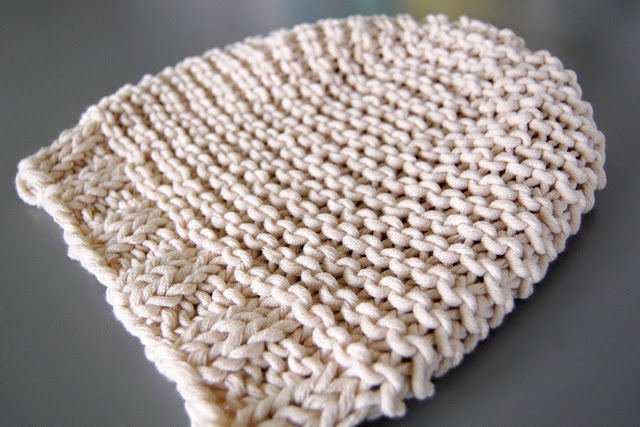 Find the free pattern for Vanilla on Ravelry ... right here. awesome pattern Jen...and that yarn looks yummy! Thanks for the pattern, nice! Awesome hat Jen and I love it, just one skein!